Spring has sprung here in Arizona. We have another month of daily ruby red grapefruit harvest, which is my favorite crop of the year. I juice them and think they do wonders for my health. Since we have had a very mild winter, with the exception of a harsh freeze that ruined some plants, the trees are in bloom early. 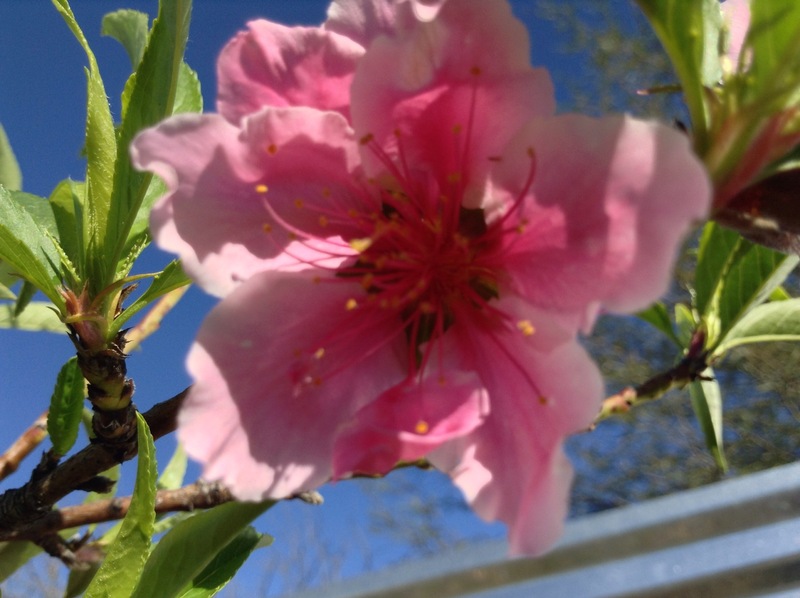 This can mean that we will be sure to have an early crop of peaches, or it could mean that survival is all the more tricky since we may dip back down in temperature before the fruits can ripen. Gardening requires both close observation and plenty of patience. Nature sometimes thrills us with the delicious outcome of our labors, but just as often some pest or weather storm renders our efforts useless. I have had some kind of garden for all of my adult life. I have had a revelation about gardening and writing that I want to share with you in this post. Now that I am regularly spending time listening to and reading poetry I see that a well manicured garden resembles a well tuned and well edited piece of writing. Even though all the writers have different styles, I notice that the choice of words as well as the way the sound works has been nurtured and fed. Some of the initial choices have been eliminated, just as weeds are pulled and mulch set on the ground to keep them from returning. The editing process creates a stronger work just as thinning makes larger sweeter peaches. Keeping every one of the fruits is penny wise and pound foolish. After the muse brings the word or the subject or the image to light, the writer must work the creative mental soil, feed the story, and decide when and where to trim for effect. The volunteer plants and some of my current work have something in common. Although they have not been fully worked, or given time to evolve into something more complete, they grew up naturally from a seed that had fallen in the past. Like yellow pear tomatoes, this natural offspring of my imagination, can turn out never ending butterfly psyche poems, if left undisturbed. Spending more time taking notes, spinning rhymes, and considering new territory for my writing I am pleased with all I have learned. My #ROW80 mates have inspired as well as instructed me in ways I had never expected. Thanks to all of you. I have found a great resource to consult that some of you may also enjoy. The U of A Poetry Center, of which you have heard me tell, has a library of recorded readings called voca. Poets read from their work and explain some of the process they used. This has opened my eyes to the many devices and forms that might be used to write a poem. Everything can be used as inspiration, and any writing has the possibility of becoming great, if edited with sensitivity. miss stilletto loves yr flower pic and yes i love red grapefruit but cant hve it because of my meds enjoy your harvest. Beautiful post. I think you’re right; writing and gardening have a lot in common. 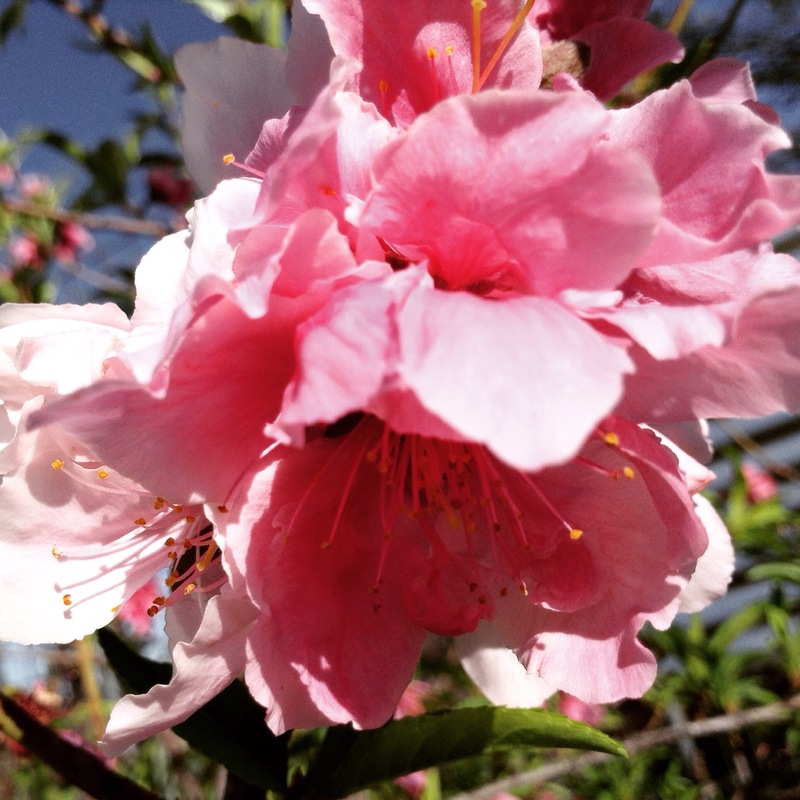 Both require patience and careful tending–and a lot of work to truly blossom. Still mired in winter here in Virginia, but I’m looking forward to planting red geraniums and growing some basil this year. Happy spring! Thanks Denise. I grow basil too..I like lime basil and lemon basil for effect. I think I’ve grown lemon basil once before. I remember liking it. Never tried lime basil, though. Sounds fantastic! This is so true. It’s the essential elements of poetry ( form, rhythm, meaning, rhyme & meter, sound.) In a written , to be read format compared to the visual of the garden (form, rhythm, color, meaning or usage, season, and scent (or not). I think your comparison is very astute. winter a long way off for us in Iowa- enjoy! Hi Mary!!! You are a real farmer..and your 9th great-grandmother was the first woman to publish poetry in English!!! So you should write poetry instead of selling tractors….We have another fancy pair of poet ancestors too..in Tudor England. Thanks for visiting here. There are many posts about our dead ancestors here.